Fasten your seat belts and ready to experience convertible drive! Let’s go to the adventure to drive monster SUV on offroad tracks of Car hill climb mountains tracks. Explore modern racing and drifting adventures by driving realistic convertible vehicle on dangerous tracks with extreme speed. You might have played various vehicle racing games but this Offroad Uphill SUV Convertible Drive Challenge sim provides an incredible offroad hilly environment to drive car by showing stunts. This Offroad Uphill SUV Convertible Drive Challenge sim is filled with rover challenges, climb hills and bumpy roads to let you transform into an Offroad suv rider of the year 2018 in a brilliant 3D simulator. Become an Offroad suv rider by driving the Hilux on Offroad Bumpy roads! Get the chance to experience the Convertible drive of monster vehicles just like Suv jeep in this Suv rover games of 2018. 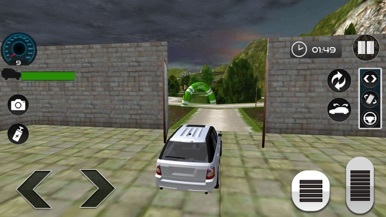 Explore various car hill climb tracks with the dual extreme speed of Hilux cars, become an expert convertible rover driver by installing this piece of missions. On the way of uphill mountains you will face furious challenges of offroad hill climb drive in this best offroad games of 2018. If you want to enjoy the convertible rover drive in car hill Climb Mountains tracks then this Offroad Uphill SUV Convertible Drive Challenge sim is one of the best Suv rover games for you, this counts best offroad games among all other car racing and drifting games like offroad 4x4 rover simulation of 2018. Face thrilling challenges in different weather conditions! In this Suv rover games you will play ultimate challenges of racing and driving, select the convertible jeep of your own choice and go towards car hill climb mission of offroad drive in this offroad 4x4 Rover Driving game of 2018. Pass through the checkpoints with dual extreme speed to accomplish the mission in given time to be an Offroad suv rider of 3D simulator. This monster SUV convertible car carries multiple fetures and easy controls to drive on super bumpy roads and jumpy tracks of heavy mountains. Various weather conditions in this Offroad 4x4 hill driving adventure makes it more realistic and thrilling best offroad games of 2018, drive your convertible SUV vehicle on car hill climb tracks to accomplish the rover challenges successfully. 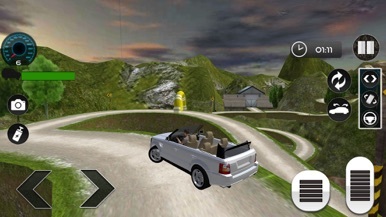 The amazing features is that Suv vehicle can be converted into convertible jeep in this Suv rover games to let you be the convertible rover driver on car hill climb tracks. 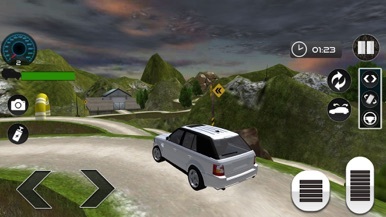 Enjoy thunder, lightening, snow and sunny conditions in this offroad hill climb drive of rover challenges. Become an expert Convertible rover of the year 2018 in an excellent 3D simulator! 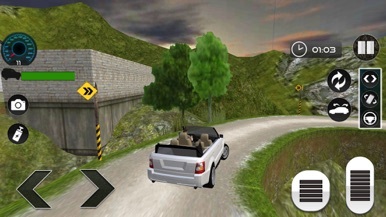 Become an expert convertible rover driver and offroad suv rider by having offroad hill climb drive in this suv rover games, you have played and drove the vehicles with extreme speed but you may have not driven the monster SUV car on the hilly mountain tracks with real dual extreme speed, this Offroad Uphill SUV Convertible Drive Challenge sim plays the role of unique idea to drive luxury cars on ultimate thrilling tracks. 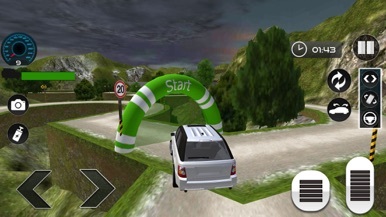 On the way of real hurdles you will face furious traffic of car hill climb, vehicle racing and drifting of this Offroad 4x4 hill driving in 3D simulator. Amazing Hilux car sounds and crashing audio effects make it more realistic. Give yourself a luxury drive of thrilling adventures to be the convertible rover. So what are you waiting for? Download Offroad Uphill SUV Convertible Drive Challenge sim to get the thrilling rides of latest SUV convertible vehicles of 2018.